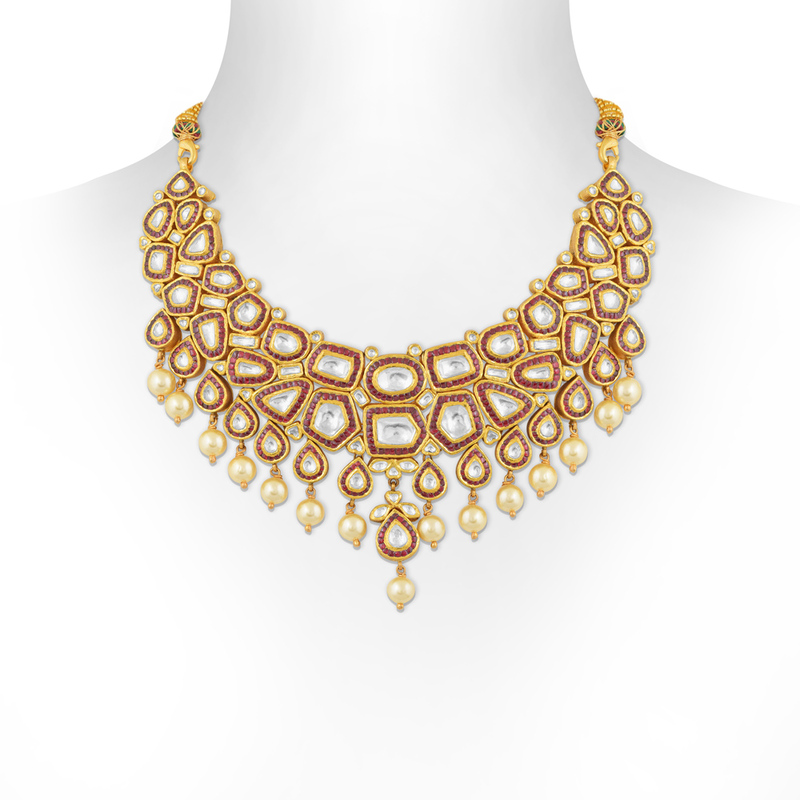 Royalty in Red Kundan Necklace flaunts the combination of rich kundans weighing 92.27 blended with 22 KT gold. The attractive piece of jewellery will give your attire a whole new definition. With its beautiful and vibrant design, this necklace will grace you with beauty and sparkle. The necklace is sure become one of your personal favourites.